Cody Garbrandt returns to action at UFC 235 when he faces Pedro Munhoz for a chance to get back in the win column. Garbrandt lost twice to former teammate T.J. Dillashaw in a rivalry that may have provided the wrong type of motivation to win fights in the UFC. While it does make for great marketing, it may not be the fuel Garbrandt used to get the title in the first place. In an interview with BJPenn.com, Robert Meese, Garbrandt’s uncle and former coach firmly believes that Garbrandt has put those fights behind him and has renewed focus on why fighters of his caliber compete in the first place. He also believes a win over Pedro Munhoz could keep him in contender level matches in the bantamweight ladder with future fights against John Lineker or Jimmie Rivera who recently lost to Aljamain Sterling at the UFC on ESPN event in Phoenix. Garbrandt is currently ranked number two in the UFC bantamweight rankings and with the number one ranked Marlon Moraes adamant about a shot at the title, a win over Munhoz would certainly remind fans and the UFC of his relevancy in the division and put him closer than he thinks to a title shot. If the UFC is negotiating with Moraes, Meese may not be too far off on fights for Garbrandt after UFC 235. Interesting match ups are there for Garbrandt and while fighting Munhoz may be a risky fight to take, he needs to fight and win to move past the two losses to Dillashaw. One thing Meese pointed out in his interview was that Munhoz has never been stopped and with nine of Garbrandt’s 11 finishes coming by way of knock out or TKO, stopping Munhoz at UFC 235 could be the statement that keeps Garbrandt’s name atop the division. 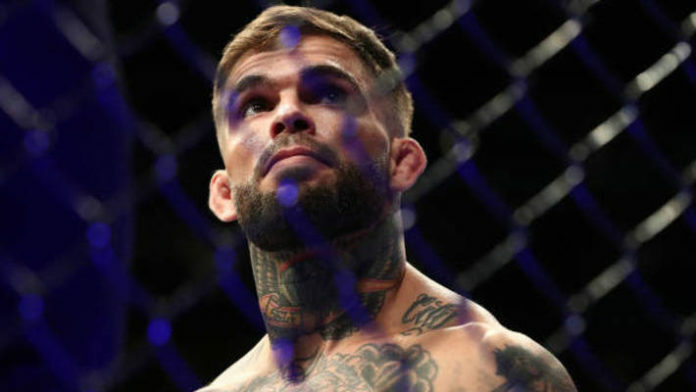 Do you agree with Meese on what a win over Munhoz means for Garbrandt?